It's one of the most famous royal dresses of the last five years and it got its annual outing today when Queen Letizia accompanied her husband on an engagement to officially open the university year in Spain. That plum coloured Varela dress was on show again in Toledo and looking every bit the classic it's always been. It's been a regular in Letizia's wardrobe for several years but it's best known as the dress she donned to meet Carla Bruni when the former French First Lady visited Madrid with her husband, Nicholas Sarkozy, in 2009. The two women sashayed up the steps of the Zarzuela Palace together but it was the deep pink of the then princess that won that fashion day. It's perhaps not surprising that Sofia Hellqvist has chosen royal blue for her first official portraits as a princess in waiting. When a royal woman starts a new stage in her life or wants to make a statement on an important occasion, she usually chooses this very regal shade. The soon to be princess of Sweden joins a long list of ladies who have made royal blue THE colour. Her future sister-in-law, Crown Princess Victoria, chose royal blue for her own engagement announcement. As she introduced Daniel Westling to the press after the official news broke in February 2009, the future queen was wearing deepest royal blue to set off her diamond ring. Prince Carlo Philip and his fiancee, Sofia Hellqvist, have released their first official portraits since their surprise engagement announcement at the end of June and show themselves to be the very image of calm composed coolness as the preparations for their wedding get under way. The decades to come will bring many more official photos but the soon to be princess shows she's ready for the close ups as she stands smiling at the camera in this first foray into royal portraiture with her husband to be. Wearing royal blue and with impeccable hair and make up, Sofia takes another step into her new life. Another new king, another meeting with the President of the United States of America. 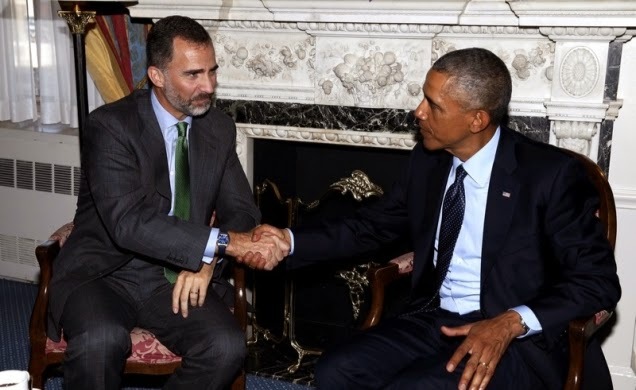 Just like the two men who became monarchs in 2013, Felipe of Spain has met the President within months of taking the throne. The latest meeting between a new king and Barack Obama came in New York where Felipe was addressing the United Nations Plenary. Their meeting was one of several that King Felipe held with other heads of state that afternoon but it was easily the most high profile. The two men held talks with advisers as well as posing for photos that mark another major moment in the young reign of Felipe VI. It's their debut on the American stage as monarchs and King Felipe and Queen Letizia have got straight down to business. No sooner had they arrived in America than they were on engagements. Letizia began her American tour with a trip to the Two Bridges School in Harlem which teaches in both English and Spanish. On her visit she met students and teachers and heard about their bilingual programmes. 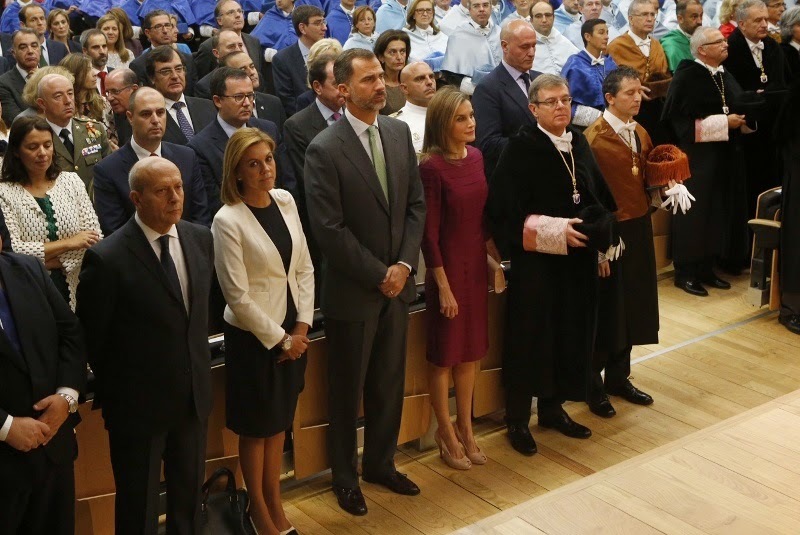 Meanwhile, King Felipe VI was at the Institute of International Education where he took part in an event for recipients of the Fulbright scholarships. They have just been awarded the 2014 Prince of Asturias Award for International Co-operation. If day one was all about not being Kate, by day two of the Duke of Cambridge's two of Malta the sunshine and smiles had taken over. There was a mix of formal and relaxed as William covered for his wife again and the big beaming grin seemed to say he was having a great time doing it. The day began with a service at the Co-Cathedral of St John in Valletta where the duke joined celebrations marking the 50th anniversary of Malta's independence. 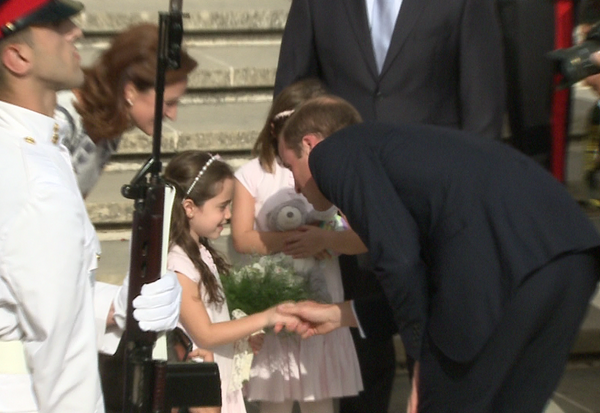 The duke was also given a formal welcome there with a salute from the Guard of Honour. And there was a real cultural treat for the duke who was given a chance to view Caravaggio's Beheading of St John the Baptist. Dress of the week, what a surprise. It's Victoria of Sweden looking stunning. Again. The autumn makeover continues. The official social media channels of Europe's royal houses have been filled with a wide range of topics and images in the week just gone. There have been state events, sweet little hugs and some serious partying going on. Here are the highlights of the week just gone. 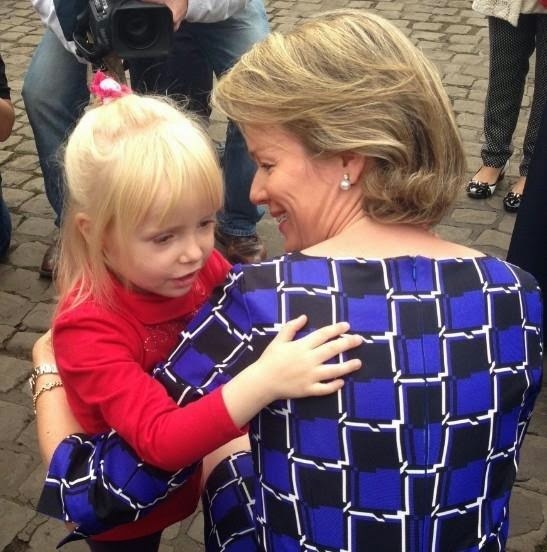 Warm welcomes Queen Mathilde of the Belgians got a very warm welcome when she arrived in Liege on September 16th and the cuddle she got from a young fan featured in an image shared on the monarchy's official Twitter feed. It was billed as one of the royal events of the year but when its star had to pull out due to ill health, there's no doubting the sighs of disappointment that followed. And now it has turned into a high profile but not top billing royal engagement. The visit by the Duke of Cambridge to Malta to take part in celebrations marking the country's fiftieth anniversary of independence is attracting lots of attention - but not nearly as much as the same trip would have received if Kate had been there as planned. This was meant to be the Duchess of Cambridge's first solo overseas tour but morning sickness meant William had to step in at the last minute as doctors advised her not to travel. And while the reception is warm, there's not the buzz there might be for the duchess. 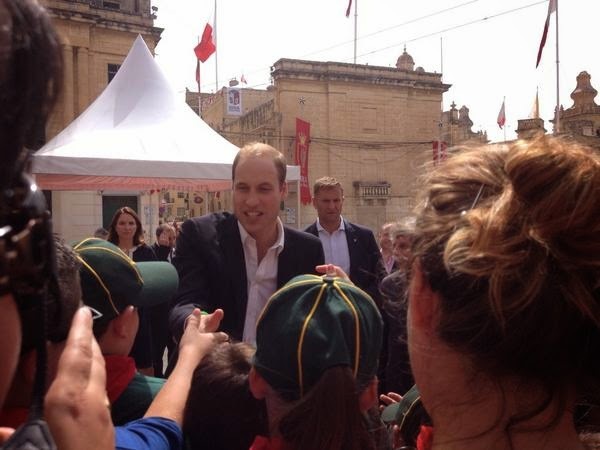 William, on arrival in Valletta, is learning what it's like being Mr Cambridge.